How many times have we done a little primping and kept our sweeties waiting? 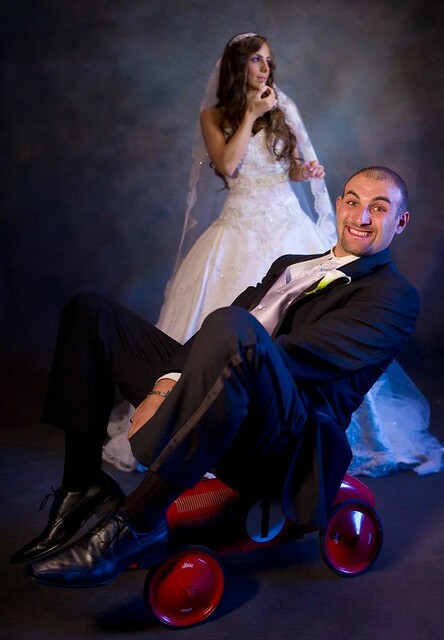 Well, when beautiful Bridal Styles bride Adelaide paused during her and her groom Giuseppe’s wedding day portrait session to apply lipstick, her new husband knew exactly what to do…sit back, relax, and have some fun! This entry was posted on Tuesday, April 3rd, 2012 at 10:13 am	and is filed under Wedding Day Post Cards. You can follow any responses to this entry through the RSS 2.0 feed. You can skip to the end and leave a response. Pinging is currently not allowed.